I used a pair of these for a half dozen or so shoots. They weren't that hard to make, but once I had lights that could be hooked to the flash control on the camera, I put these away. They were not as steady as the poles manufactured to hold strobe lights, though I find that I need to put sandbags or other weights on the bases of even the off-the-shelf poles. 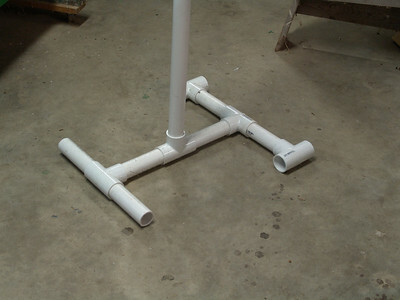 For these PVC stands, extra weight on the base was essential. Materials needed: some 1 and 1/4 inch PVC pipe and a few T-joints for them; Some 1 inch pipe that will slide inside the 1 1/4 inch pipe. PVC cement. 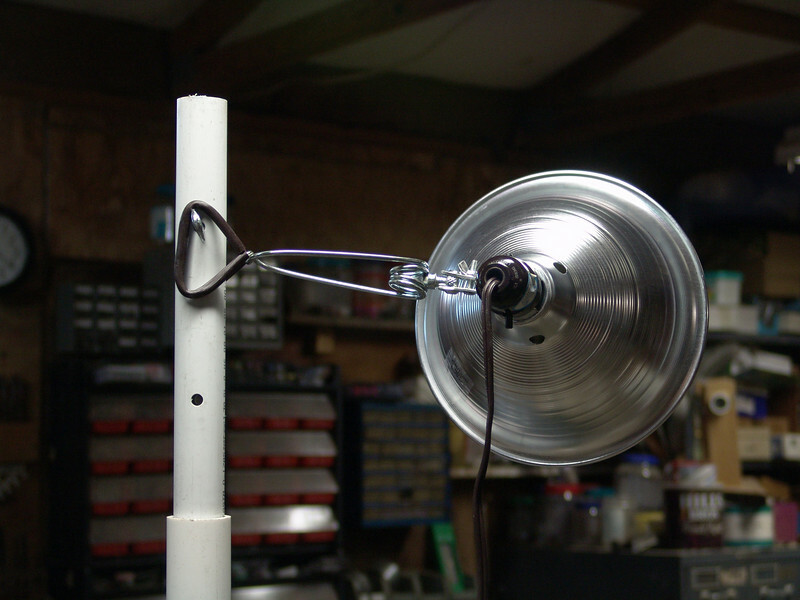 Clamp on lights. 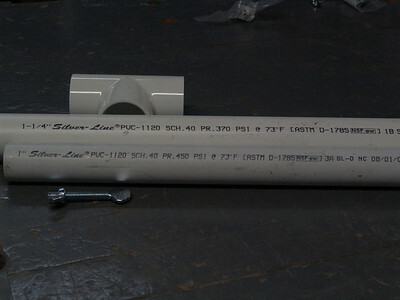 The base of the stand is a simple "H" type of shape. This needs three T joints, one at each end of the center pipe and one in the center. 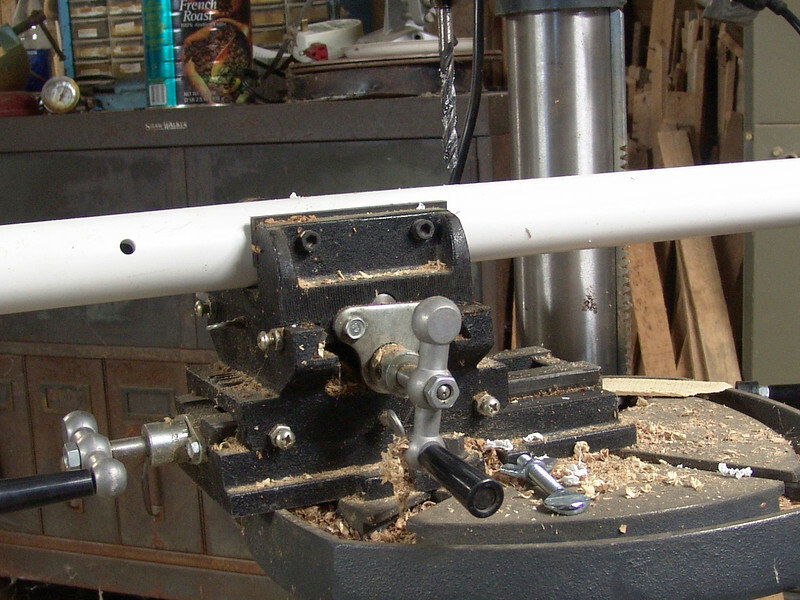 For stability, also need either more T joints at the ends of the outside pipe, too. End caps would have been a better choice, but what I had was the T joints. To insure the height adjustment holes are properly aligned, slide the smaller pipe inside the bigger one and clamp them together. Then clamp them in a vise. 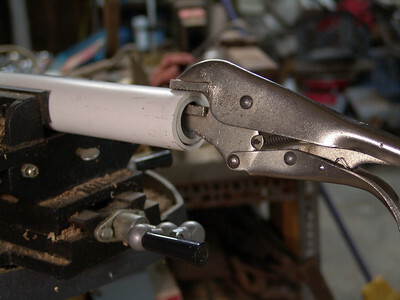 Use a "lip and spur" bit, which is regular bit with a tip section that helps keep the bit in place. 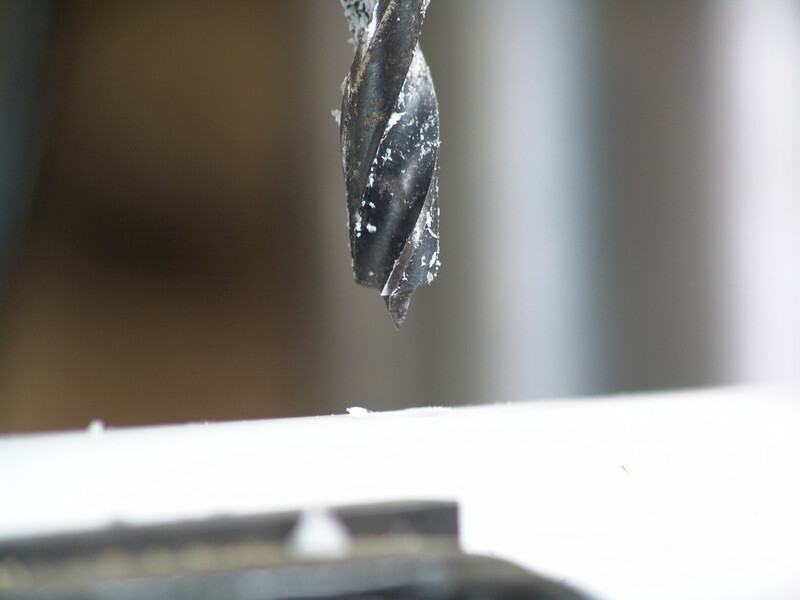 Even with this tip, the workpiece has to be securely held with clamps, without this tip, even securely clamped, the bit won't go straight, even in a drill press. This kind of rig is ideal for this kind of work. Attaching the lamp does require using one of the thumb screws be available, otherwise the lamp will slide down the pole. Even with this anchor point, it is sometimes difficult to get it to grip happily. I now think roughing up the pole with a gouge might be a good idea.